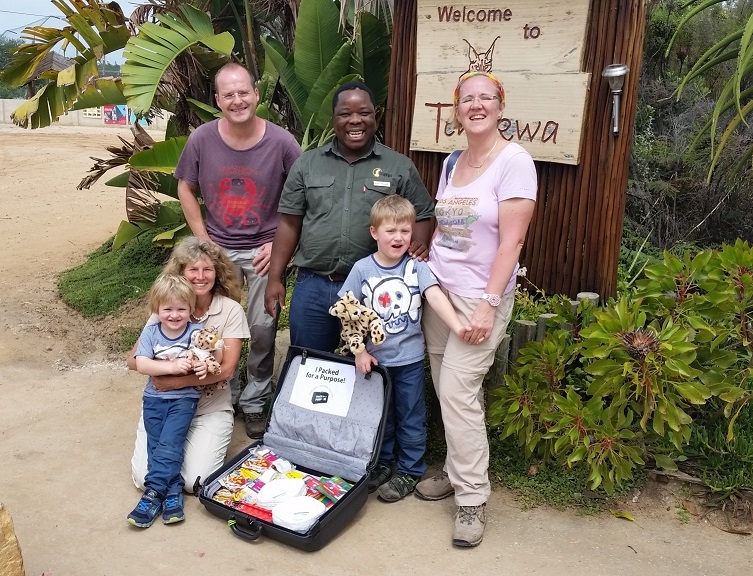 Pack for a Purpose travelers have been making tremendous contributions for Tenikwa Wildlife Awareness & Rehabilitation Centre. Pack for a Purpose traveler Dr. Britta Sichelschmidt-Brux and her family visited Tenikwa this spring and delivered 8.765 kilos of supplies to support the organization. Tenikwa supports several additional community projects. They recently distributed donated clothing, school supplies, books, food, and educational material, to a project initiated by Dalene Thys in Kurland Village. Dalene has set up a swop shop where members of the community can exchange recyclable waste for everyday household items. Tenikwa was also appreciative of the left-handed scissors they received, which they will deliver to the Kurland Primary School. They have also donated supplies to a local soup kitchen and school supplies for the Come to Learn Creche program. Pack for a Purpose is delighted to hear about the meaningful impact travelers have been making in South Africa by simply reserving a small space in their luggage for requested supplies.